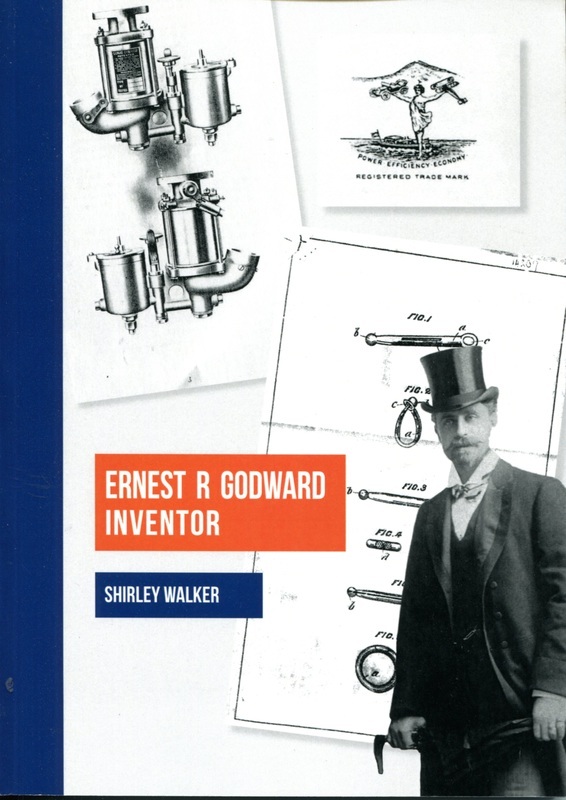 Invercargill inventor Ernest Godward (1869-1936) is best known for the two key products, a spiral hairpin and an economising petrol carburetor system, that helped make his substantial fortune. 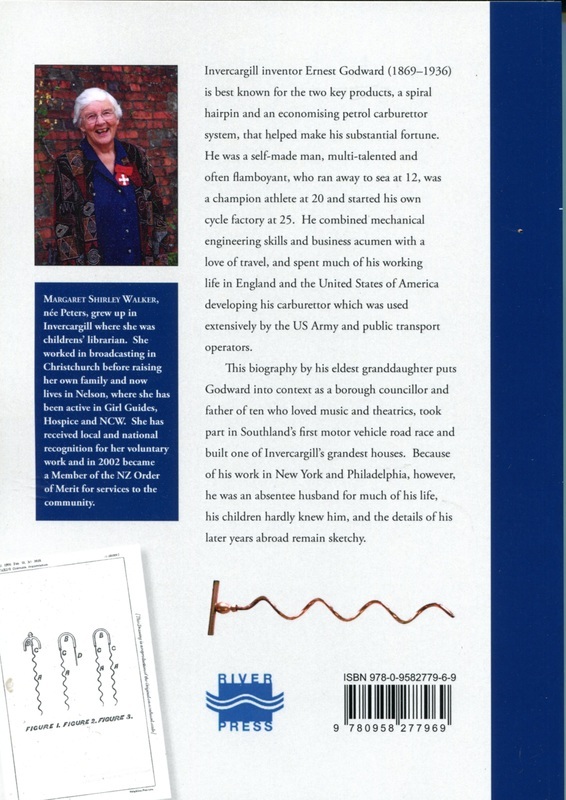 He was a self-made man, multi-talented and often flamboyant, who ran away to sea at 12, was a champion athlete at 20 and started his own cycle factory at 25. He combined mechanical engineering skills and business acumen with a love of travel, and spent much of his working life in England and the United States of America developing and marketing his inventions. This biography, researched by his eldest granddaughter, puts Godward into context as a borough Councillor and father of ten who loved music and theatrics, took part in Southland’s first motor vehicle race and built one of Invercargill’s grandest houses. Because of his work in New York and Philadelphia, however, he was an absentee husband for much of his life, his children hardly knew him, and the details of his later years abroad remain sketchy.